NBC Meshtec Americas utilizes top quality materials, strict quality controls, and the latest technology to create imaged screens that enable high quality production in a wide range of industries. 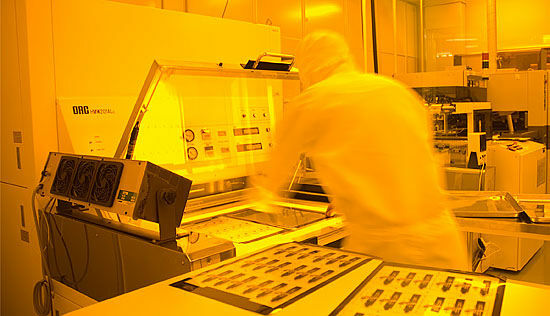 Our screens are produced in a cleanroom designed to exceed Class 10,000 (ISO 7) standards and outfitted with high end precision screen making and quality control equipment. Our process is the result of years of experience and a dedication to continual improvement. These factors ensure accuracy and repeatability. Our process incorporates quality control throughout. 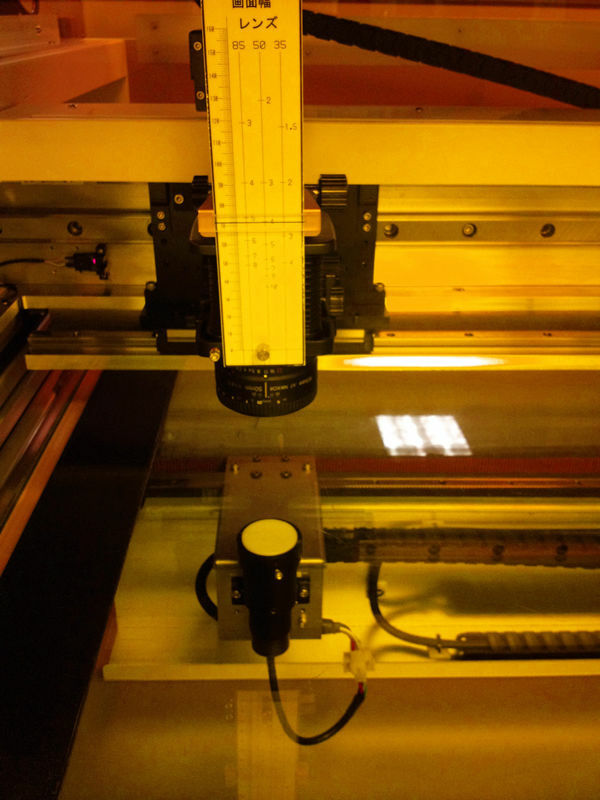 Industry-leading QC equipment such as automated dimensional inspection and visual inspection machines, and precise thickness gauges accurate to within 0.5 µm provide you with the confidence of consistency. The quality of your product is only as good as the quality of the components that go into it. 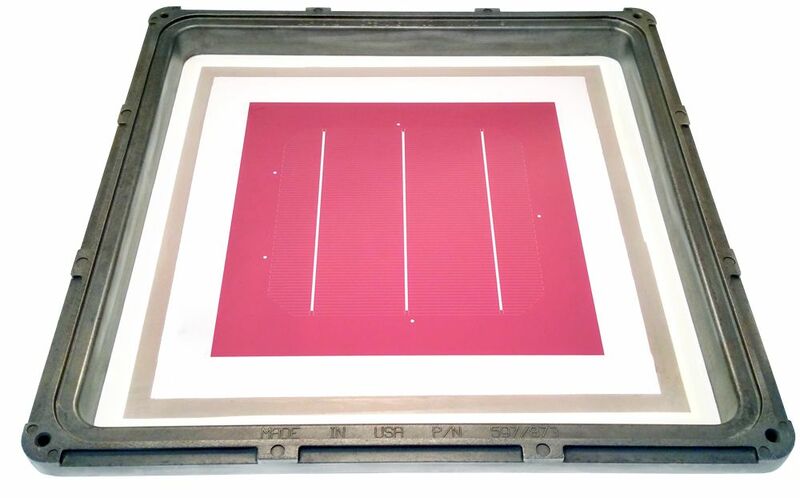 Since a precision screen is crucial for a precision print, we are focused on utilizing only the highest quality materials in our imaged screens. V-Screen Next is a high performance mesh woven with next generation themotropic liquid crystal polymer monofilament thread. Its unique properties gives it several advantages over standard stainless steel mesh. Superior Tensile Strength: V-Screen boasts tensile strength superior to standard stainless steel mesh, leading to increased dimensional accuracy and minimal tension loss and distortion. 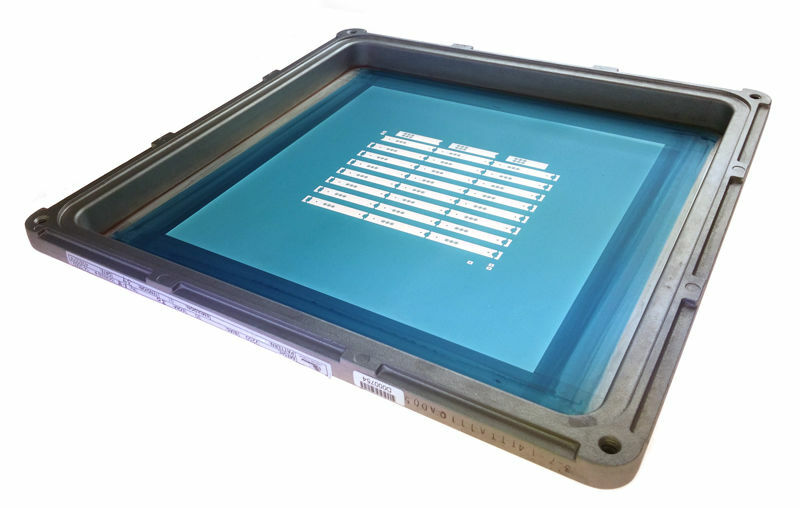 Superfine Threads: Available at diameters as fine as 20 µm, V-Screen’s superfine threads create larger mesh openings, reducing mesh interference and improving ink transition. Superb Light Transparency: With higher light transparency and lower light reflection than stainless steel mesh, V-Screen allows easier setup of exposure time for ultrafine screen resolutions. The mainstay of high-end screen production, we utilize metallic mesh in a variety of specifications, each with specific features and abilities that perfectly adapt it to your application. Upgraded stainless steel mesh is woven with wire 30% stronger than standard stainless, allowing for higher screen tension, which significantly improves dimensional accuracy and service life. Super stainless steel mesh features 3x the tensile strength of standard stainless, thinner threads, and 30% more open area, minimizing mesh interference, and making it ideal for use with high viscosity paste. Tungsten mesh represents the future of wire meshes, boasting greater physical stability and print repeatability than any stainless steel wire mesh. 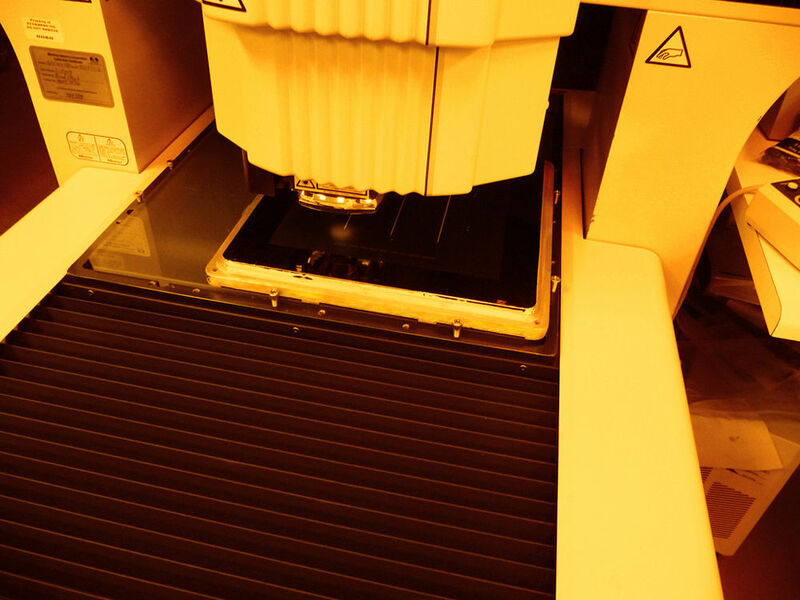 We use fine-line emulsions engineered specifically to address the demands of the printed electronics and other high end industries. These top quality emulsions and capillary films deliver on-press stability and durability and a very fine resolution, enabling razor sharp edges and a precise ink deposit. Please submit the following form, and a representative will contact you about a quote as soon as possible. Please correct the errors noted below before resubmitting.